The WordPress HTTPS plugin will automatically redirect from http to use https instead and enable SSL (Secure Socket Layer) communication. It can force SSL on your entire domain or selectively choose certain pages to have HTTPS redirections. 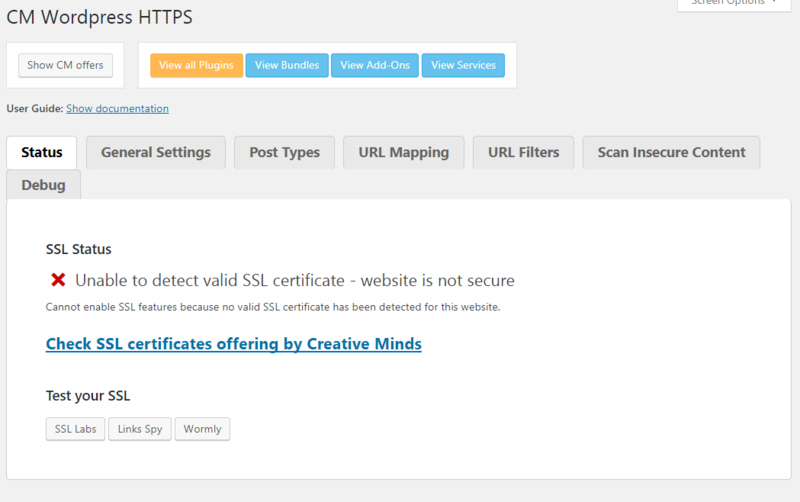 This plugin can also be used with the free SSL certificate. Get HTTPS Pro and 5 other essential WordPress publishing plugins for 50% less! Are you looking to move from HTTP to HTTPS (Hyper Text Transfer Protocol Secure) and install an SSL (Secure Socket Layer) certificate on your WordPress site? The WordPress HTTPS SSL Plugin is intended to be an all-in-one solution to enable SSL or TLS on WordPress sites. Our WordPress HTTPS plugin forces the WordPress to use HTTPS to access pages on your site and automatically create an HTTPS redirection that changes http calls to https, this https encryption makes your site more secure. HTTPS pages build trust in your website visitors. Our WordPress SSL plugin includes many features to check for and convert from http to https and maintain https access on your WordPress site. You also have a dashboard showing you the SSL status on your site, so you know if you have a secure connection, with end to end encryption. 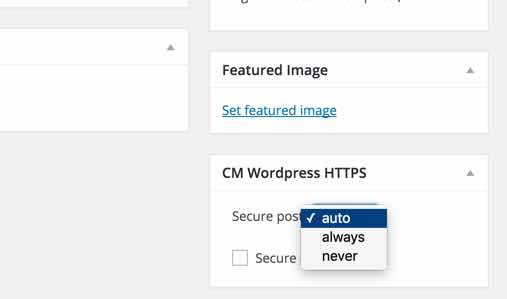 The WordPress HTTPS SSL plugin includes a built-in scanner to search and fix all unsecured content, automatic detection of your SSL status, URL filters, URL mapping, the ability to manage using HTTPS connections and more. Andy Cooke at getawaydigital.com: "Great Experience - Your plug-in was brilliant and made the switch to SSL really simple I had been expecting a far more difficult task." 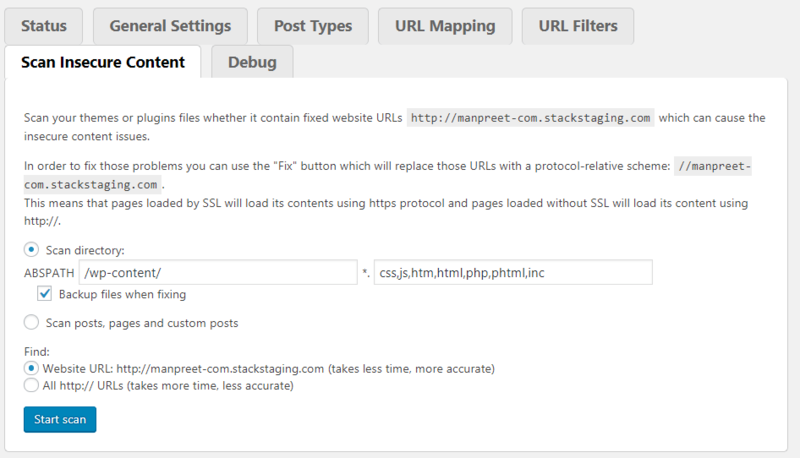 The WordPress SSL plugin provides results that point you to the exact location where the issue is and also contains a button to easily fix it while making backups when needed. 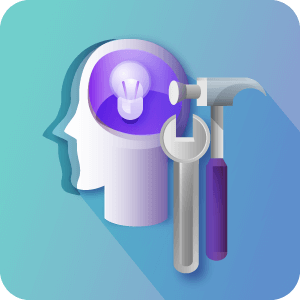 Our premium version includes many bug fixes and additions to the original. 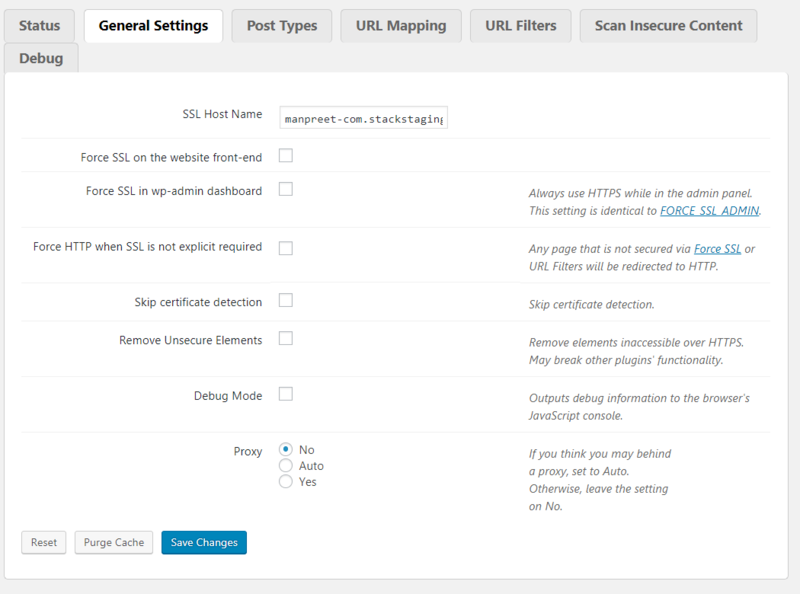 The WordPress SSL plugin also includes a lot of new modules added covering new functionality for the Pro edition. Transform Your Site to SSL Secured – Convert your site to properly use simple SSL while implementing HTTPS redirections. Your site will then run over the secure HTTPS protocol (instead of the unencrypted HTTP protocol) and the connection between your website and the user’s browser will be encrypted. Our plugin does not provide you with an SSL certificate, it allows you to force HTTPS (Hyper Text Transfer Protocol Secure) when visitors are accessing content on your site and helps with fixing redirects which can be a problem when making the change. To setup SSL and for the HTTPS SSL Manager plugin to work, you must first have installed an SSL Certificate. 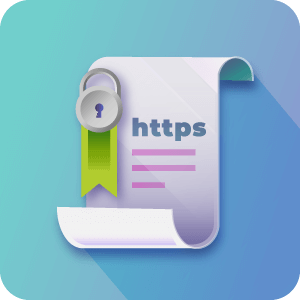 To obtain an SSL Certificate you must visit a Certificate Authority (CA), or if you’re lucky your hosting SSL provider will offer SSL Certificates and installation services. Should your SSL provider not offer such services there are many Certificate Authorities offering low cost and free SSL Certificates and instructions for getting an SSL connection up and running on your site. One such CA we recommend is https://letsencrypt.org/ which is a simple and free SSL service with very easy to follow instructions for SSL installation and on site encryption. 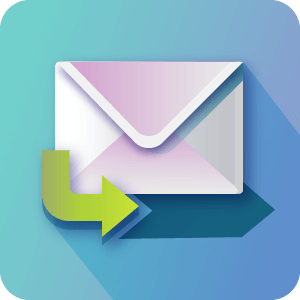 Automatic Redirect – Automatically setup a https redirection from http to the https version of URL. Select HTTPS Supported Pages – Force your entire domain to be automatically redirected to the HTTPS version of the URL or selectively choose a certain pages to be HTTPS redirected. Static Files Support – Supports static files embedded in your posts and pages using a NON-HTTPS URL. Force SSL – Force load static files (images, js, css etc) using an HTTPS URL. Simple SSL Administration Panel – Whole website SSL, use SSL certificate for the admin panel also. Applies SSL automatically to the WordPress back-end. Multisite – Supports the WordPress Multisite environment. 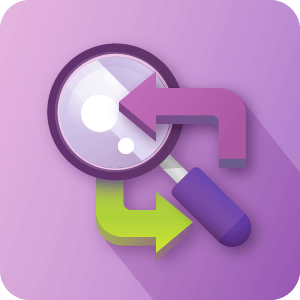 Detect and fix all insecure content – Scans all files across the site and to solve insecure content after SSL certificate installation. Force Pages to HTTPS redirect – Force all or certain pages across the website to redirect to HTTPS URL. 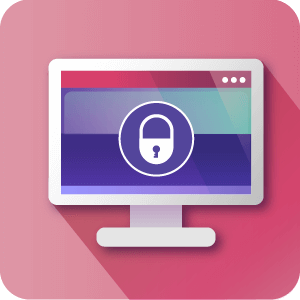 Easily Control SSL – Simple SSL connection allows a one-click button to turn https on or off. Backend and Frontend – Supports selectively forcing https on frontend and backend for encryption where you want it. 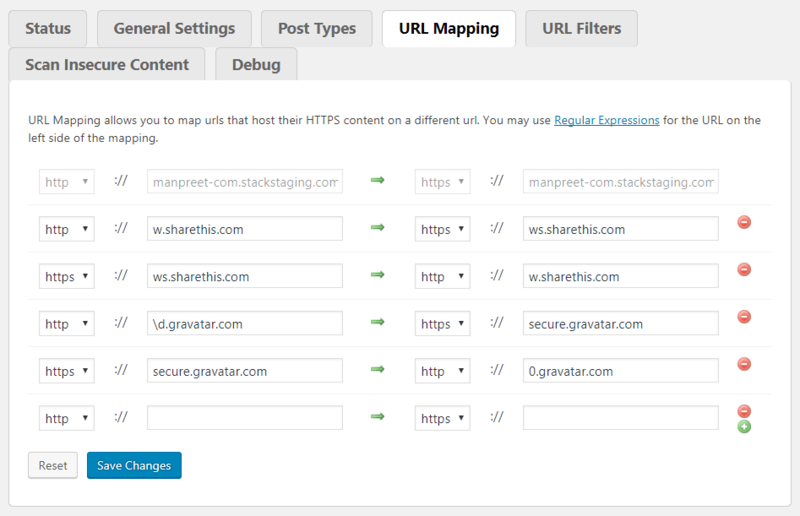 URL Mapping – Support URL Mapping which allows you to map urls that host their HTTPS content on a different url. You may use Regular Expressions for the URL on the left side of the mapping. 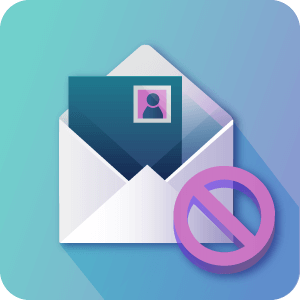 URL Filtering – Support URL Filters which allow you to specify what content should always be secure or insecure using simple string comparisons. HTTPS Mode On Specific Pages – On each page or post or custom post you can control https mode from a metabox allowing for HTTPS to be applied only to certain pages. Scanner Support – Scan your site template files and website content to detect issues with elements blocking your https secure mode. Fix Non HTTPS Links – Fix issues found on pages, posts and template files to make them work in a secure https mode. SSL Testing Tools – Includes testing tools for your SSL or TLS. 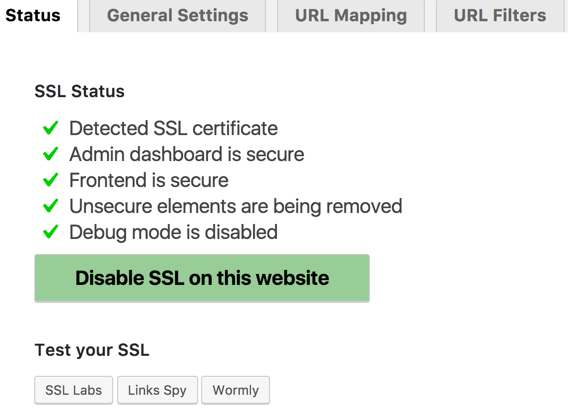 SSL Dashboard – Includes a dashboard with all your website https indicators. 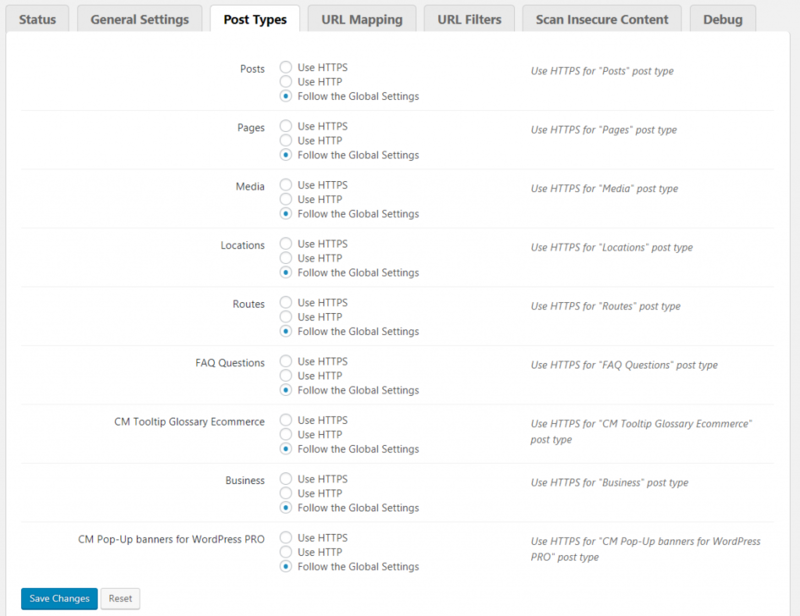 Custom Post – Secure only posts by post type, including custom post type. Does this HTTPS plugin support multiple sites? Yes, you can install it on a Multisite environment but you’ll need a activation licence for each. Can a user select which pages are redirected to HTTPS? vice -versa, select only those which should support . Is there a limit to how many pages can be redirected to https? No, there’s no limit. You can have a site with 10K+ pages and all will be shown as https. Will I get unsecure content warnings on my pages? 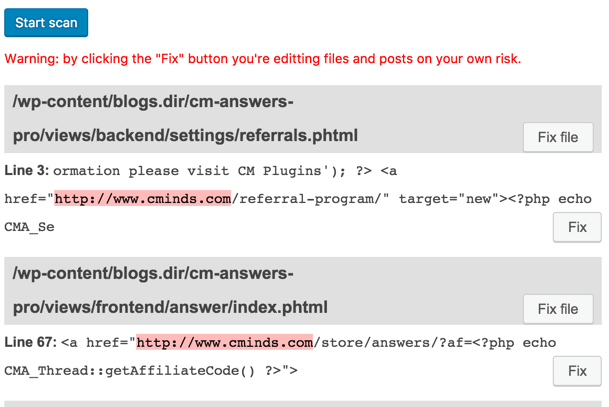 If you follow the plugin installation and tools instructions you should not see this warning on any of your pages. The plugin comes with tools to convert non secure content to secure content while scanning all your files to make sure they only serve secure content. Some of the pages are not being redirected to https, what should I do? This may be due to rules in your .htaccess file in which case you will need to modify it. How can we see if https is active on the frontend? It will display a padlock icon in the address bar to visually indicate that an HTTPS connection is in effect. SSL is a “cryptographic protocol” which protects and secures data being transferred through a computer network; this transfer of information occurs between a website or online application and a visitor. Why are SSL certificate and HTTPS important? It protects the transmission of data across all Internet assets. HTTPS URLs security build trust in your website visitors. It is highly encouraged by Google as a tool to boost your SEO. Do I need to have an SSL certificate? Added option to add exclude urls on the settings page. Added “Why No Padlock?” button. Added option to skip the certificate detection. Added option to secure chosen post types. Added debug tab in settings.